In my devotions this past week, God has been reminding me of who I am. I am His child. He made me. He decided the world needed one of me. And just like me, God knew we needed one of you. We may not be famous actors, politicians, or world renowned scientists, but we are unique. 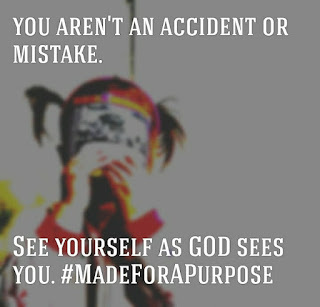 Happy Saturday and don't forget to see yourself as God does.